Back in February I posted all the steps I had taken to dramatically increase my website’s page load speed. Since then I have been doing more research and more tweaking and I have even increased my page load speed even further. There are trade offs I had to make in my latest round of improving my page load speed. For example I want to track analytics using Google Analytics but including this code causes a hit to my page load speed. There are other trade offs that I will discuss each one. 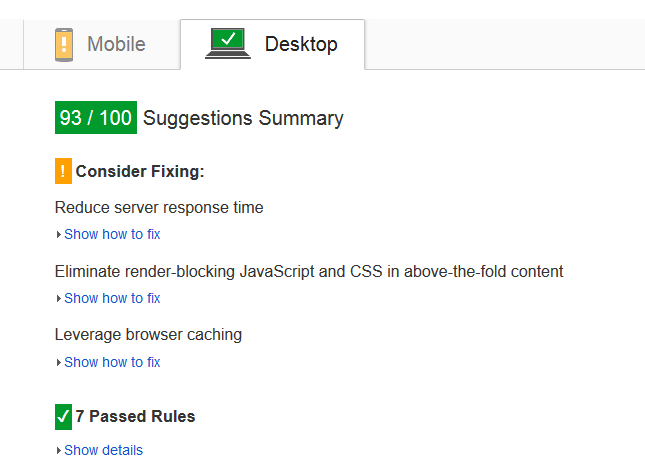 If you have not read my initial post about improving my page load speed you should read it first. I give you the exact steps I took initially. This post is a continuation from that one. From my last post here are my final stats which become my starting stats for this post. I have been able to improve my page load performance even more. I am using the W3TotalCache plugin along with MaxCDN. The combination of these two have greatly improved my page load speed. Make sure to save settings once you have made the change. Next you are going to add all CSS files. Scroll down to the CSS section. Make sure you save settings when you are finished. When compared to February my page load speed has increased in 2 out of 3 tests. 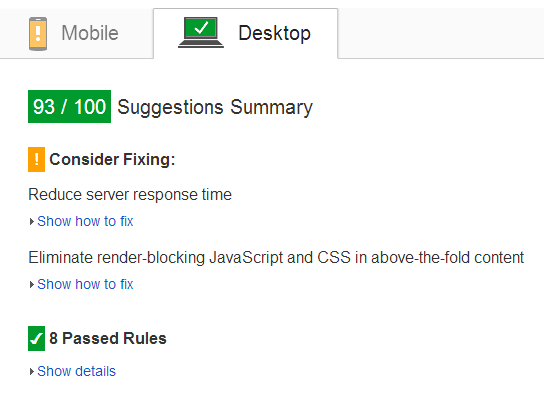 For Google PageSpeed I was able to increase from a 91 to a 93. 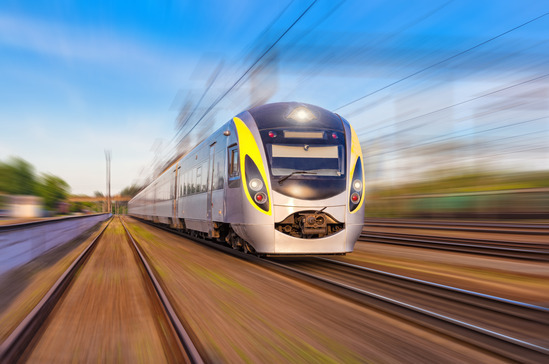 For GT Metrix I was able to increase my Page Speed Grade from a 96 to a 97 and my YSlow Grade from an 87 to a 90. I was also able to lower the number of requests from 29 to 19. For Pingdom my score declined from 96 to 92. But my number of requests declined from 45 to 19. In my search to get the absolute fastest time possible for the load of my website I looked into removing both of these items because I got much better results. Google Analytics allows me to track visitors to my website, keyword ranking and demographics. Facebook tracking pixel tracks people who visit my website so that I can target just these people with a Facebook Ad. In my initial post about improving my page load speed I talked about my results using the Genesis Theme and then switching to Thesis theme. If you are not technical the Genesis theme is very easy to learn and to customize. For that reason it has a very large customer audience. Thesis 2.0 theme on the other hand is NOT very easy to use if you are not technical. You will have a much steeper learning curve to use this theme. But once you learn how to use it then you are able to customize it much more than you can with Genesis. I recently received an email from StudioPress (the makers of Genesis theme) offering you the opportunity to greatly improve the speed of your genesis theme. The catch is they want you to pay them to make their theme load faster. Here is a company that produces a good theme in Genesis. They realize that they can make improvements to the theme to make it faster. Instead of just implementing that into the product they decide to sell that to people that have already purchased the product. To me that is a very poor business model. It is like selling someone a car and then saying you have to pay extra to put wheels on the car you already purchased. It is a very good business model for StudioPress because they get you to pay $99.95 for the theme and then pay them in perpetuity $12/month to make the theme fast. Compared to that the Thesis 2.0 theme costs $87. If you hold onto your website for one year it would cost you $243.95 for Genesis vs $87 for Thesis 2.0. If you want to use Genesis because of its ease of use then you should consider using MaxCDN. MaxCDN costs only $9/month vs $12 for the Genesis Accelerator. As you can tell from the final tests, removing Google Analytics and Facebook Tracking Tool greatly improved my page speed time and my scores. My GT Mextrix Page Speed Grade remained the same at 97 but my YSlow Grade dramatically improved from a 90 to a 98! My Pingdom requests dropped from 19 to 9. Compared to where I as in February you see a tremendous improvement in my page load speed time. It shows that if you make an effort you can greatly improve your websites page load speed. For myself I will probably toggle on and off the Facebook tracking pixel. I will turn back on Google Analytics because I want to have this information available to me. My recommendation is that you utilized W3TotalCache plugin with MaxCDN on your website. The W3TotalCache plugin is free. MaxCDN starts at less than $10/month. I think it is well worth the cost when you consider the improvements you get from MaxCDN. Thanks for the helpful article and for your tips. I’ve never heard of GTMetrix or Pingdom — I only been using Neil Patel’s quicksprout.com to check my site speed. I’m also wondering, does using Thesis actually help with speed as well? I have Genesis as my framework. Thanks. I have not guest posted on other people’s blogs but would be open to the idea. I was able to get faster load time with thesis than with genesis. Thanks for the reply. Yeah, that’s what I thought about Thesis and will be converting back to it soon (I used to have it back in 2009). As far as guest blogging, I think it’s still an effective means to get more exposure and help others as well. That’s why I created my site. 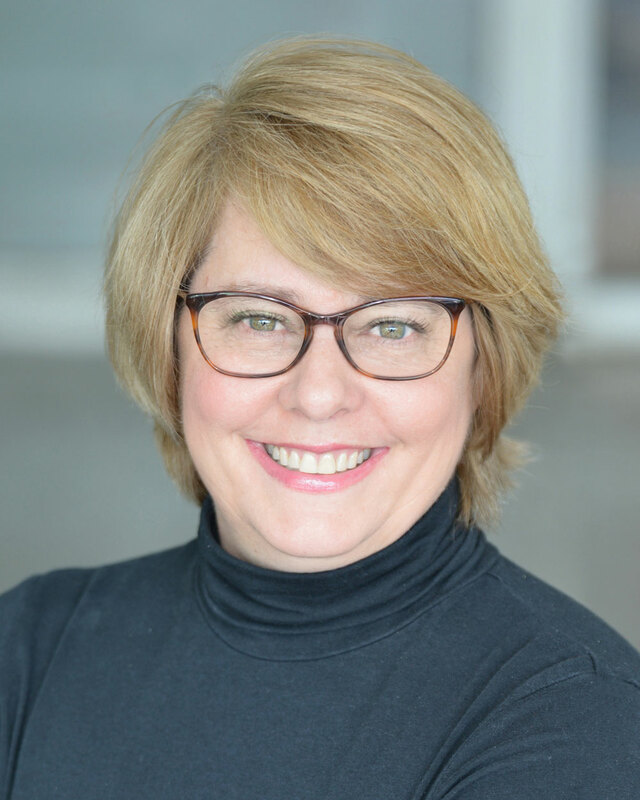 It’s an opportunity for other writers to contribute their expertise in the personal development niche. I have a long term goal to be like a Hubpages or Squidoo, but not have topics that are too broad like them. Yes, I cover many topics, but it all relates to self-improvement. Let’s talk after I return from holiday with my family. No hurries Jennifer. You have a great time with your family. Just visit the below links when you get back or have time to do so. Have fun! I am back from my vacation and will look at the link you provided. Great to see the progress you made with the changes. 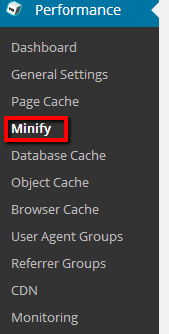 Although I am not fond of the differenct caching plug-ins, I will try your suggestions to minify via the plugin. I usually do the minifying offline so I do not need any system reources on the running system. Does W3TotalCache do the minificaton on the fly (meaning whenever a page ia called) or once and saves the JS / CSS file? Thaks for the updated post. Hey I do not know the answer to your question. You can get free support on the plugin page at wordpress.org. Really great article and blog for that matter! You mentioned that Thesis is $87. Do you use the Basic version ($87) or Plus/Pro (which costs a bit more) for your blog? I have been using Thesis for so long that I am grandfathered in to their original pricing for almost 10+ years ago. Today’s pricing changed with Thesis 2. My recommendation would be based on whether you were going to use thesis on one website or multiple and then select the appropriate pricing option. I do not use the 2 skins that come with the Basic Plus program but instead use the Marketer’s Delight skin. OK – thanks so much! I am very impressed with the loading speed of your blog, is something fantastic!!! ¿Why I can’t see the js file management? Thank you for this great article, very helpful. 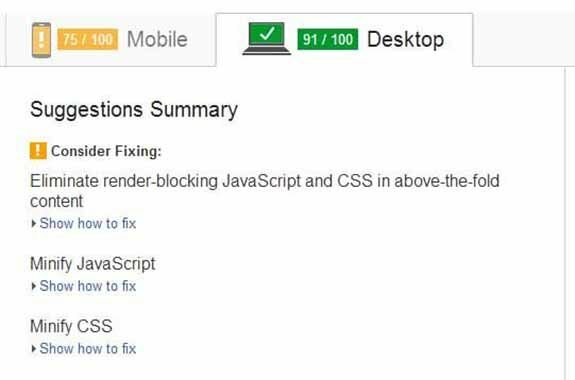 i am encountering an issue, my page has 1 blocking script resources and 2 blocking CSS resources. This causes a delay in rendering my page. my host provider Godaddy has blacklisted the WC3 cache plugin known to cause security or performance issues. 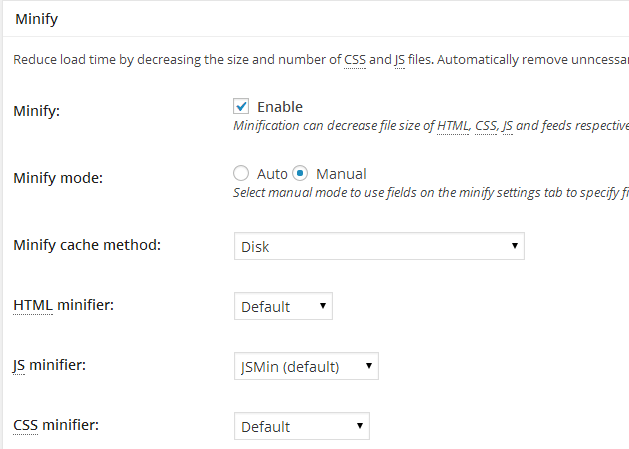 If you cannot use W3TotalCache then you may use the Plugin “Async JS and CSS settings”. Thanks for this post. It was explained and written nicely.